Popular coffee shop Edna’s of Asheville has just announced the opening of their second location near the River Arts District. Gearing up to open early July 2015, Edna’s At The River will be located at 219 Amboy Road, in the same spot as the soon-to-open Asheville Food Park. 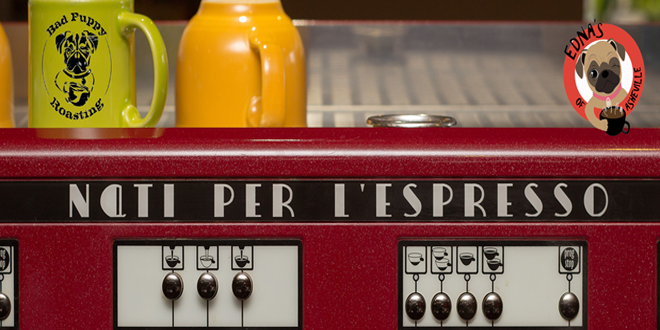 This new location will not only feature an indoor cafe, but a drive through airstream trailer for coffee on the go. The cafe will feature all of the same features that make Edna’s of Asheville that special place where everyone is welcome, including your four legged friends. The flagship coffee shop is situated at 870 Merrimon Avenue, across from Ingles and Steinmart. Originally a cafe known as Mountain Java, in 2012 Tom Cash and Mike Zukoski purchased the business and slowly transformed it from a casual coffee spot to a neighborhood hangout. Heavily influenced by their beloved pug Edna, the coffee shop hosts a variety of pet friendly events and fundraisers. Edna’s features their own blend and roast of coffee, Bad Puppy Roasting. 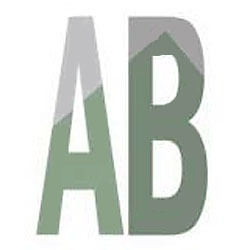 With the opening of the Asheville Food Park sometime in June, locals will have access to a produce and fruit stand, local art, pet adoptions, food trucks, and a full bar. The food park aims to remain open year round, and will offer up to three food trucks at one time, with trucks being on site for four hour shifts at a time. You will be able to get breakfast, lunch, and dinner at the park until 11 pm. 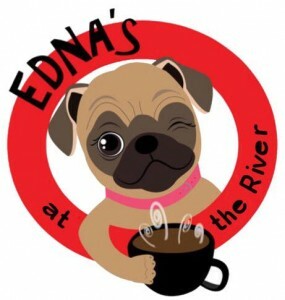 For those who walk their dogs at Carrier, or visit the French Broad River Dog Park a mile down the road, you can now grab a cup of Edna’s coffee to give yourself the energy you need to make it through the day. We will have more information on the Edna’s At The River opening, and Asheville Food Park, so watch this space! Previous Table Etiquette: What’s Old, What’s New… What’s Fun! Yay for Edna’s! Spread the deliciousness around! Great coffee and I love that I can get fresh fruit too.